So, most of us drink coffee. The sweet, sweet bitter drink that makes you work like something has grabbed hold of your mind and shoved it into a bucket of water and electrocuted it. Or maybe that’s just me. Anyway, being on this good Episcopalian campus, we must walk down Middle Path at least a billion times a day, and on this walk we must pass Wiggin Street Coffee. We’ve all seen this fascinating machine at one point or another on our way to print something in Gund Commons. It lives, covered in dust, constantly being passed by hundreds of students each day. One day, I thought the unthinkable – Can this machine actually be used? 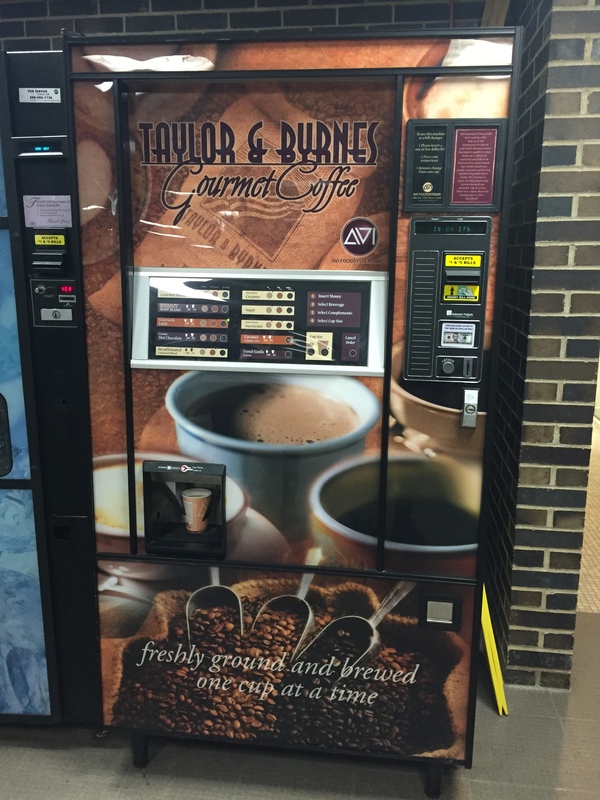 Does it dispense the Gourmet Coffee it advertises? I knew I had to find out.